Portier VISION becomes the latest addition to the Portier Parking guidance and management solutions! 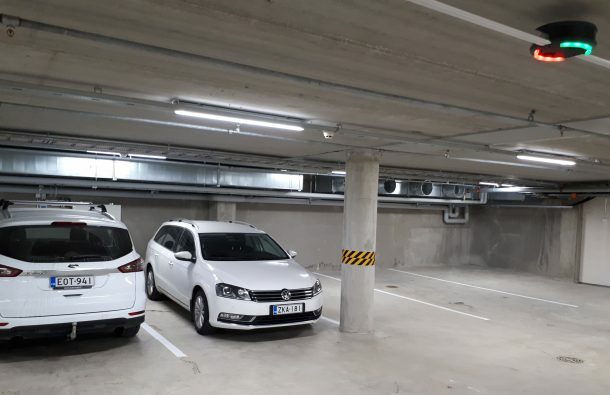 First installation has been deployed to SeiPark’s (www.seipark.fi) new underground parking facility at Seinäjoki, Finland. System features camera units to cover roughly 250 spaces, additional LPR cameras for the entries and VISION search kiosk that allows drivers to locate their vehicles within the garage. Camera units monitor the status of the parking space and automatically records the license plate when space becomes occupied. Furthermore, all movement around parked vehicle is recorded. 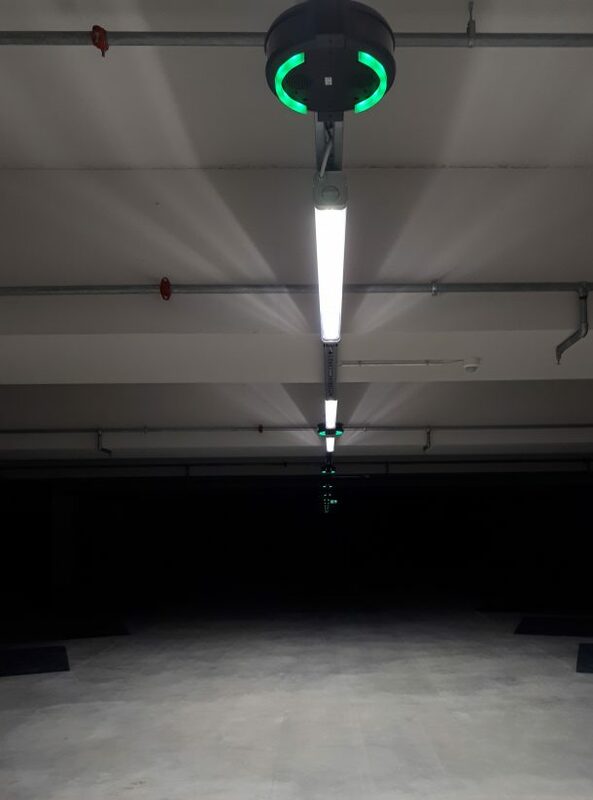 Each camera unit can monitor up to six spaces and the availability of the spaces is indicated with RGB indicator stripes for both sides of the driving lane. Like Portier ParkSensor system, Vision has also in-built audio which enables streaming music, public announcements or commercials. Audio can thus be used to create for example pleasant parking experience as well as additional revenues through outdoor marketing. VISION is built on Portier HOST platform – the most flexible platform for parking guidance allowing integration of multiple technologies such as ultrasonic detection, induction loop counting, LPR cameras, displays and space-specific camera units into a single seamless user experience and unmatched performance! Portier is present at Intertraffic Amsterdam; come and learn more about our solutions at Hall 3, stand number 03.117.